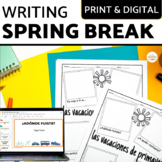 This PDF file contains one simple worksheet that instructs students to write and illustrate about three things they did over spring break. 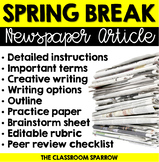 Spring Break Writing ~ Post a Selfie and Tell About It! 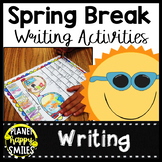 After Break Writing Activity: Summer, Fall, Winter, Spring Break Writing! 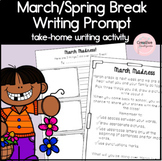 Encourage your students to practice their writing with this fun after break activity! 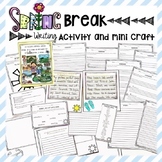 Includes instructions, pre-writing, self-check page, template, and rubric for an expository prompt on the question "What were your top two favorite moments from break?" 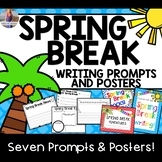 Also included in: Year Long Writing Prompts & Writing Paper BUNDLE! 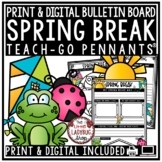 Spring Break Writing - Jelly Bean Journal - "Flat Stanley"
A great resource to use when students return from spring break! 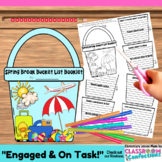 Students reflect on what they did over their spring break and who they spent time with. 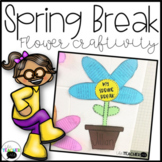 There is room for students to write and also draw pictures.